Be transported to a wondrous world on a flying crystal ball. Experience a thunderous ocean storm as the waves crash against a ships haul through the art of flag spinning. Enjoy the story of the King and a princess as she battles for her life with grace and enchantment. 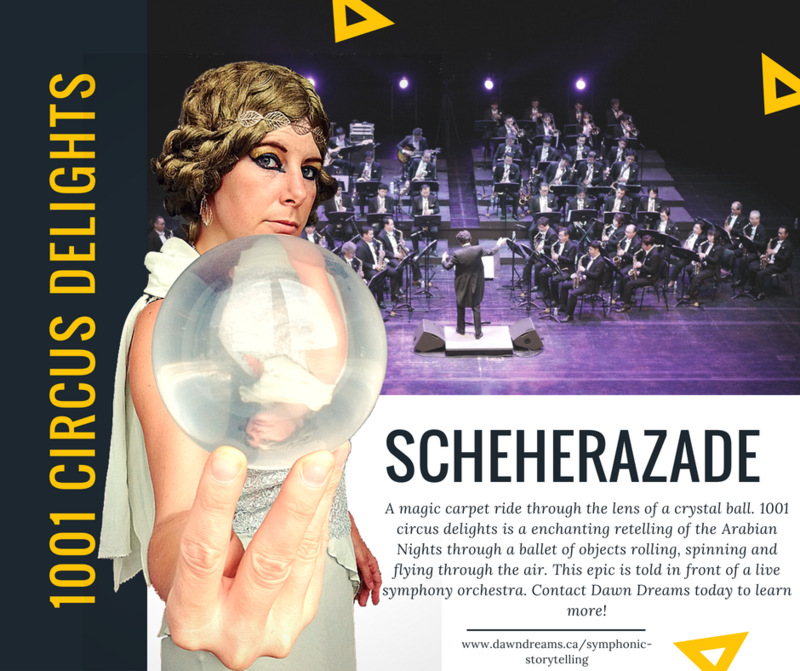 Dawn Dreams offers the magic of 1001 Arabian nights in a way you’ve never seen before, paired with Rimsky-Korsakov’s Scheherazade symphonic suite in a magnificent performance to be remembered. 1001 Arabian Nights, One of the greatest fairytales of all time, told through the medium of contemporary juggling styles such as contact juggling, staff spinning, flag spinning and more! This one woman show rests on the backbone of Rimsky-Korsakov’s symphonic suite: Scheherazade. 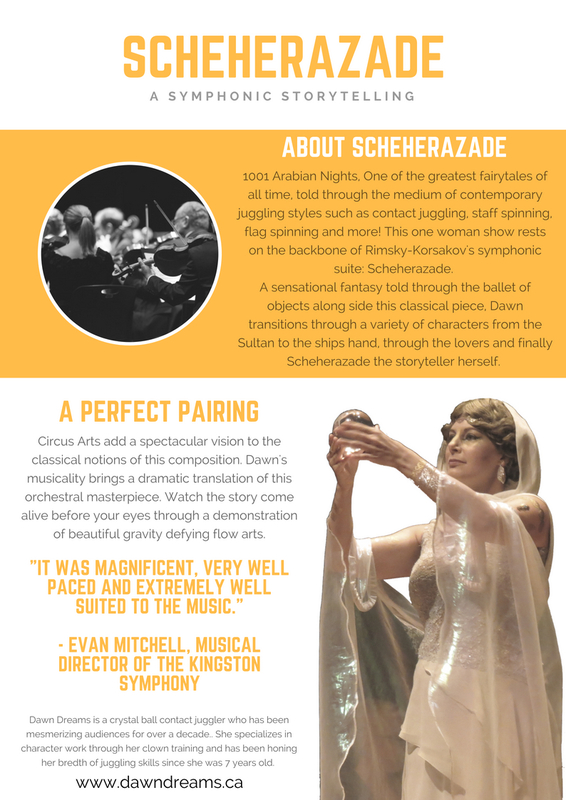 A sensational fantasy told through the ballet of objects along side this classical piece, Dawn transitions through a variety of characters from the Sultan to the ships hand, through the lovers and finally Scheherazade the storyteller herself. 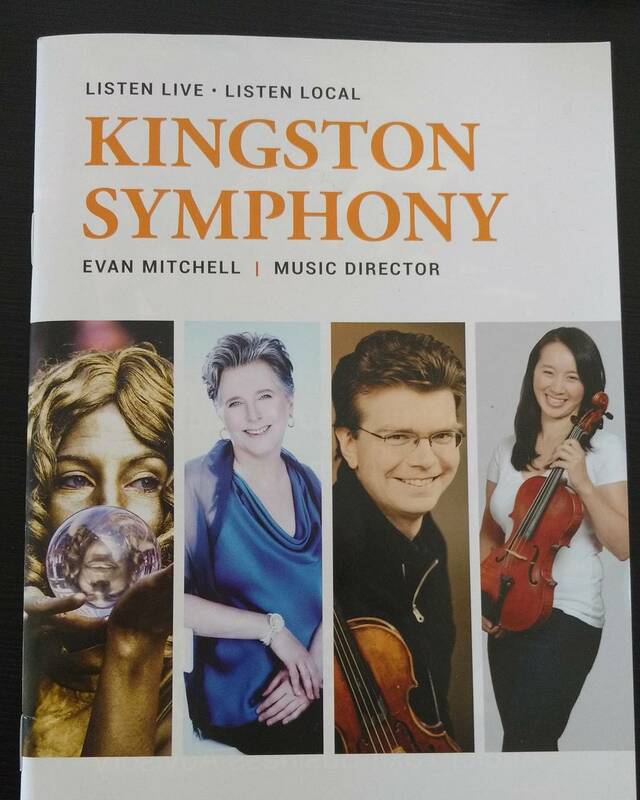 The debut of this performance was with the Kingston Symphony at the Isabella Theatre. Evan Mitchell had the vision for artistic piece and called to invite Dawn to help him make it come alive. Alive it was! A full 40 minute solo performance accompanied the second, third & forth movements of this beautiful classical masterpiece. Using character work throughout, Dawn intertwined crystal ball manipulation, juggling, flag spinning, staff and tableau work to tell all the stories of 1001 nights. 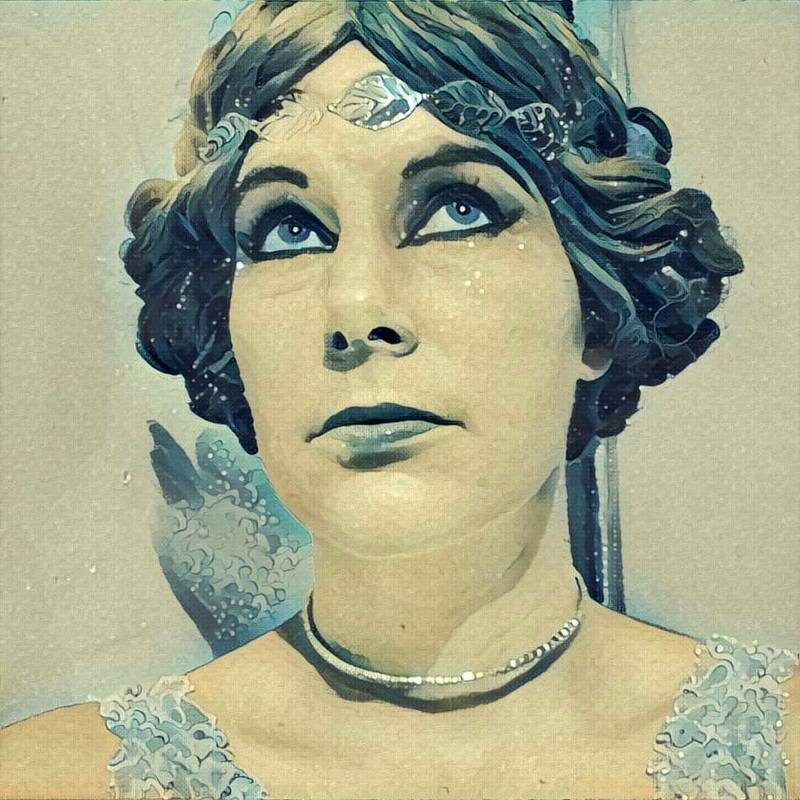 Scheherazade is a princess and the story teller in the tales of 1001 Arabian nights. She was of noble blood and she had studied the histories and lore of all the former kings and legends of the land. She was polite and wise and witty. After the King murdered 1000 women in a vindictive nightly massacre ritual, she offers herself, having created a clever plan to stop him. She fights for her life every night through her knowledge of worldly tales, never quite finishing any story by nights end, so he needs her alive to hear more. She subdues the king with her allure and grace, showing him that women are worth loving again.